A new version of the HP Envy 14 Beats Edition laptop is now available on Amazon with a second-generation Intel Core i5 processor. 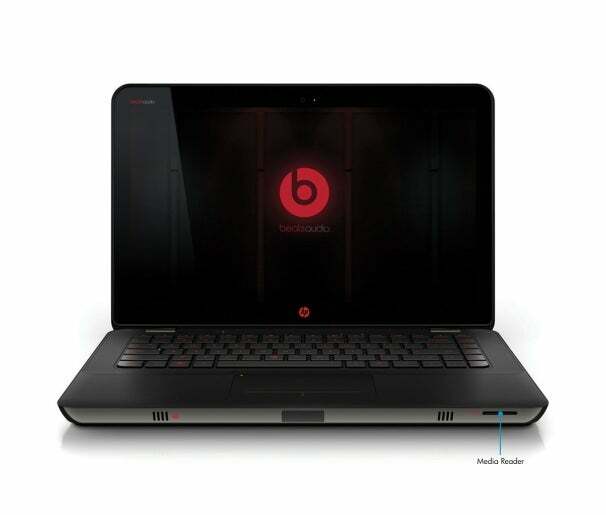 The Beats Edition laptop is the sportier version of the highly rated HP Envy 14 and is geared toward audiophiles. The HP Envy 14 got PCWorld's highest recommendation and was, in fact, the laptop our laptop editor Jason Cross said he'd select for himself. The refreshed HP Envy 14 Beats Edition retains the same features as the previous model, except for the new 2.3 to 2.9 GHz Intel Core i5-2410M processor with AMD Radeon HD 6630 graphics (1 GB switchable graphics and up to 4GB total graphics memory). Features that earned the HP Envy 14 such good reviews include an attractive design with clean lines and a stunning red backlit keyboard, decent portability at 5.3 pounds, a bright 14.5-inch (1466 pixels x 768 pixels) display, and great performance for a mid-size system. HP is pretty generous with the memory and storage capacity as the device comes with 6GB of RAM and a 750GB (7200 rpm) hard drive. The Beats audio provides a quality listening experience - something rare in many laptops. However, while the previous HP Envy 14 Beats Edition came with high-end headphones, the upgraded model on Amazon doesn't. It runs $1,050 at Amazon now, which is similar in pricing to the old model.